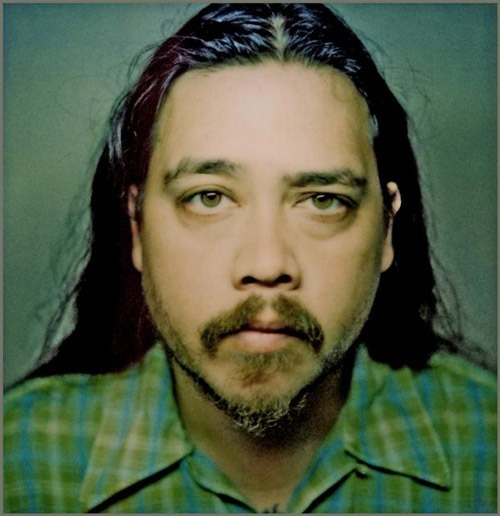 You are here: Home / News / Featured / Chi Cheng (1970-2013) – R.I.P. This is the hardest thing to write to you. Your love and heart and devotion to Chi was unconditional and amazing. I know that you will always remember him as a giant of a man on stage with a heart for every one of you. He was taken to the emegency room and at 3 am today his heart just suddenly stopped. He left this world with me singing songs he liked in his ear. He fought the good fight.You stood by him sending love daily. He knew that he was very loved and never alone. I will write more later. I will be going through the oneloveforchi site and any other information may not be reliable. If you have any stories or messages to share please send them to the onelove site. Please hold Mae and Ming and the siblings and especially Chi’s son, Gabriel in your prayers. It is so hard to let go. R.I.P Chi!! !… Fly High… Fly Free! I remember the first concert you guys gave in Romania. It was one of the best experiences in my life. It makes me sad to hear that Chi has passed away, but I know that he is in a better place right now. We will miss you Chi, may you rest in peace! Condolences to your families! Im so lost for words right now much less music. I’ve lost my chess partner. the one barometer i could only try to meet the standard of. I would really like to see an album dedicated to Chi Cheng, songs written with the Deftones to commemorate his memory much in the same fashion that Snot did for Lynn Strait. I realllly think that would be a great way to commemorate his memory, and I would buy that in an instant. Without ever knowing or having the pleasure of meeting this man, I got the vibe that he was about togetherness, and this was the exact impression I got from people who spoke about him in articles or on video. That said, I can’t think of a better way to make him happy then to create one great piece of work in his memory. Plus, I think the Deftones would do a great job since they usually incorporate fan memories (think of the rarities and b sides box). Chi was a great musician and a better man i’m truely sorry that he’s passed . We love Chi as much as we love the deftones . Peace to his family and the band . Love Vince Jorge Salinas CA . Chi’s favorite song was When Skeletor telephones He-Man. Never forget. Keep on rocking Sergio. We are with you guys.